Canyon Community Bank opened its doors in October 2000. Its founders established the bank to offer Tucsonans an alternative that previously did not exist. That being the choice to do business with a locally owned and managed Community Bank. Canyon Community Bank’s first location was on the corner of Oracle & Magee Roads in Tucson’s Northwest area. That first location continues to serve as Canyon Community Bank’s Main Branch. 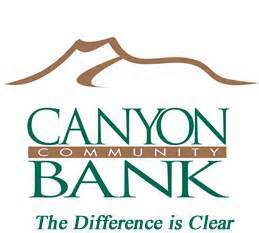 Although Canyon Community Bank has a comparatively short history, it has received numerous awards and recognitions. Canyon Community Bank continually strives to deliver a progressive banking solutions and products in Tucson’s competitive banking marketplace. Is A Local Bank Right For You? If you are interested in a local or community bank, take the time to weigh the pros and cons. You might also want to review the option of an Internet bank while you’re at it. Other local and community banks in Tucson AZ include; Alliance Bank of Arizona, Bank of Tucson and National Bank of Arizona. Considering Tucson AZ as a place to retire to OR looking for a great winter retreat from those long winter days? We can help.